Share your trek and camp stories only on Campture! Are you thinking of plan an itinerary with your special one or going out with a couple of friends for an amazing adventure that will pump your adrenaline? Let the stress fade away naturally with an outdoor activity every weekend or a month? Well, I guess then Campture is the app you will be looking forward too. 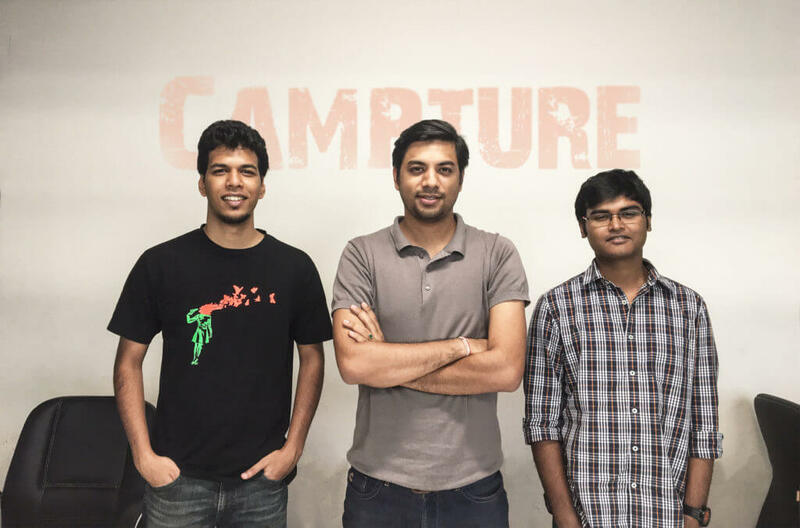 Campture is a marketplace aggregator of itineraries that allows crowd sourced generated content to be shared with the world. All-in-one – Share Photos, locations, notes, routes. Offline – You can record every emotion, every sight even if you are not connected to the internet. Backups & Sync – Your travel log will be saved in the cloud for backup. Gear Checklist – Find the right gear for your next adventure. Sunal (Founder) back in 2013 experienced his first outdoor camping trip to Triund (HP). He completely underestimated the trek and had no knowledge about the right gear and requirements for a long hike. As it was getting dark, clearly he was out of his comfort zone. Despite of all the struggles, it turns out that it was one of the best experiences of his life. The view was breathtaking and it took away all the pain and fatigue. Life was never the same again, the axis has shifted. He narrated his story to a dozen people and inspired them to discover camping as a new hobby. They told dozens of their friends and this generated a ripple effect. Campture has around 70,000 followers on social networks and an average of 25,000 page views per month with 1000+ user’s sign-ups in 4 months. Sunal explains that, they received an overwhelming responses from the community and all this is prior to pre-launch of the actual product. Since the inception, the team failed multiple times but they learnt from each mistake and it has helped them in improving their product. The team is now launching Campture stories where people can write about their experiences with an interactive map. Travelers don’t need travel agencies anymore; these agencies were valuable when the information and services they provided were hard to access. With internet availability, this scenario is changing rapidly and with Campture, it’s pretty simple. Now travelers can create itineraries, showcase them, inspire and enable others to discover new things within the app. Content is king and they have been generating awareness with articles, gear checklist generator and other mediums. One of the interesting experiences was when the team went viral multiple times on Facebook. The team received a staggering engagement of 4 million and they are proud to reveal that they have grown the community organically. They are growing the community and inspiring individuals to experience outdoor and unique travel experiences. The company is currently launching a new platform (Web & Mobile) for travelers to record their stories digitally. Further on, Campture will be launching a planning tool to help travelers plan their trips and directly connect them to the suppliers in order to book their itinerary. Know who you are building the product for, understand your users. Get early users to validate your concept. Don’t act like a company, instead be like a cult. Everyone should have the same goal. It’s like playing in a band or playing on a team. We will come to know how to create things from very limited resources. We will truly appreciate people who help us and it keeps us humble. We will understand the meaning of “value”. We will know how to survive. The Team will become stronger.